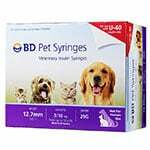 BD U-40 Pet Syringe 29G 3/10cc 1/2" half unit markings 100/bx is specifically designed for your pet. 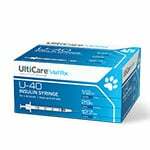 BD U-40 Pet Syringes 29G 3/10cc, 1/2" - Half Unit Markings 100ct are designed to help your cats and dogs live a happy and health life. 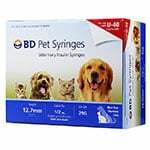 BD has been a leader in innovation and manufacturing of high quality pet syringes. Micro-bonded needle lubrication for less friction. Fine Point needle tip for easier insertion. 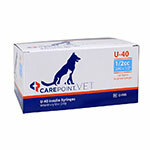 Exact same as the ones my vet sells for about a third of the price. 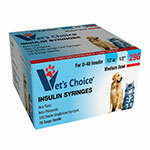 These are the same syringes provided by the vet when we started this process with our cat. When more were needed, most websites only had syringes with a disposal box which we did not want. 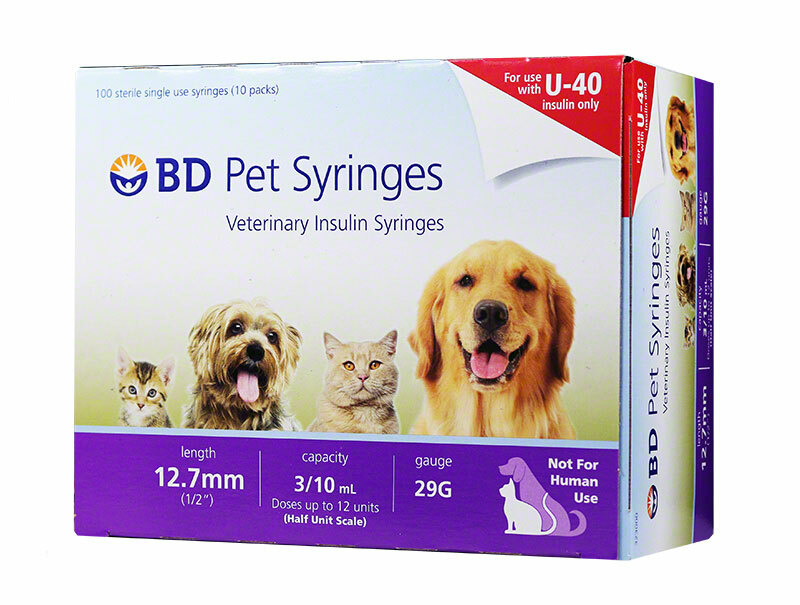 These syringes are easy to use and we dispose of them in an empty milk carton once per month. These are your best bet for cat use. great price & easy ordering...I am glad that I found this site! thank you! So grateful I found this site. 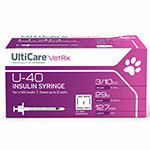 Our dog has been diabetic for 1 year and we have relied on our vet for our supplies. What a pleasant surprise to find these products at such incredible prices. Website is super easy to use and you guys made it simple! Glad to have found you!!!!! With autoship the syringes arrive on-time every month. The syringes are of good quality. I have never had a problem. These syringes are overall the best I've found yet. Occasionally I will have a problem with one (eg. Once I was taking the "covers" off and the plunger came all the way out of the needle) but overall, I am satisfied and also appreciate being able to buy these online from a reliable company. This is the 3rd type of syringe I've used for my dog. By far the best. The syringes work well for my cat.